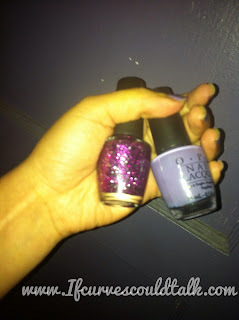 If Curves Could Talk: Nails of the week: OPI The Muppets Collection "Divine Swine"
Nails of the week: OPI The Muppets Collection "Divine Swine"
I used OPI's "Planks A lot" as a base and then topped it with OPI'S "Divine Swine"
And these are my nails this week! Have you picked up any of the Muppets collection? If so which colors and which colors do you like? Fun nails & nice color too! 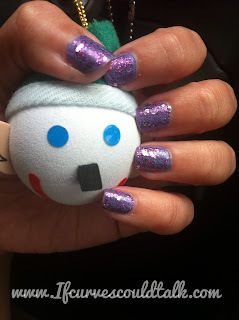 It's hard to remove the glitter, just be patient when removing it and get a fast nail polish remover. I saw this on Pinterest but I haven't actually used this tip myself. Couldn't hurt to try. 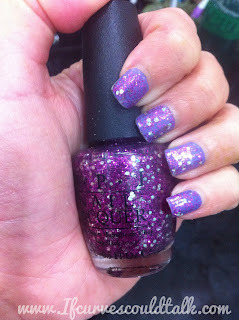 I've been wanting to buy a couple of the Muppet glitter polishes but they're sold out here and I just haven't gotten around to buying them online. 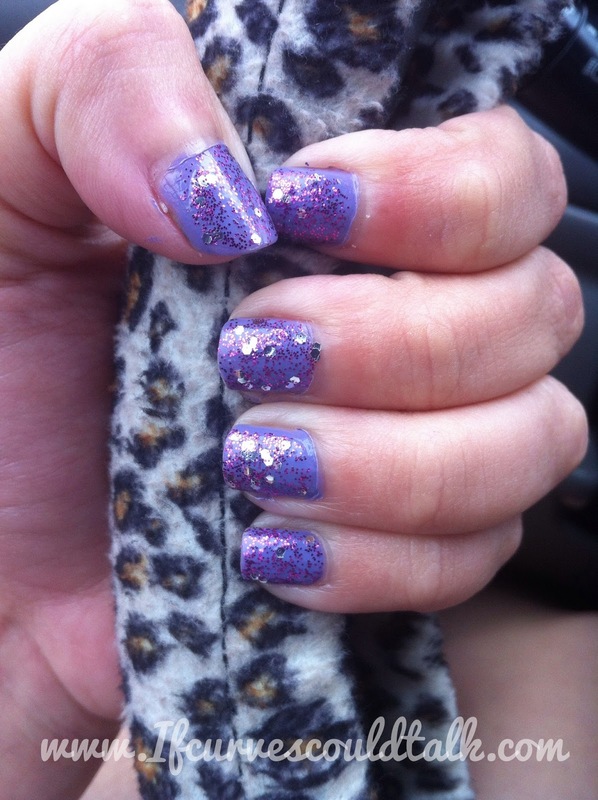 Love your awesome glittery nails doll. Need to head to the store ASAP and pick up this collection. This is super pretty, I'm lovin' it! WOW...I like that glitter one.